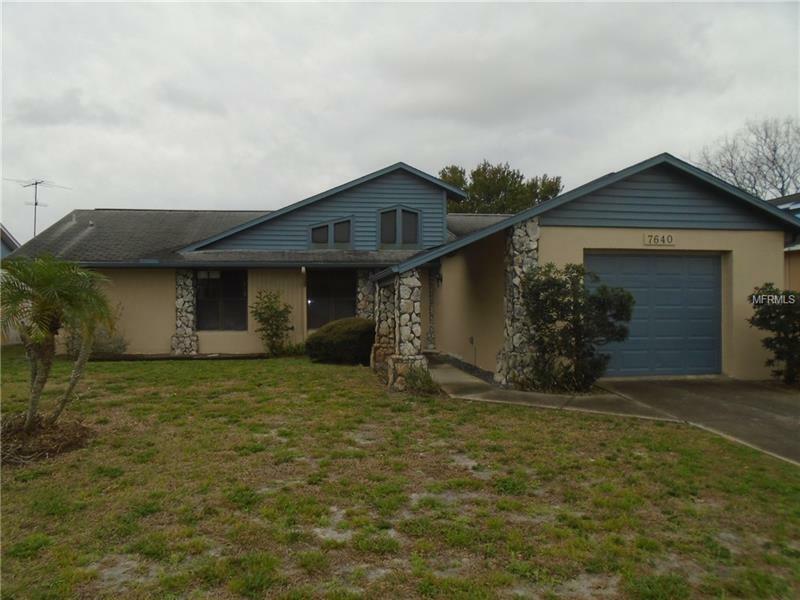 * * * DO NOT MISS OUT ON THIS POOL HOME * * * Great floor plan! Large living room with high vaulted ceilings. Separate dining space. Kitchen has plenty of room and counter space with space for bar stools. Split bedroom plan. Nice size master suite with full master bathroom and walk in closet. Both the second and third bedrooms adjacent to second bathroom. Inside utility. Nice size one car garage. Just minutes from Fox Hollow Elementary. Easy access to either US 19 or Little Road with both offering lots of stores, mall and restaurants. This is going to make a great home for you ! ! !